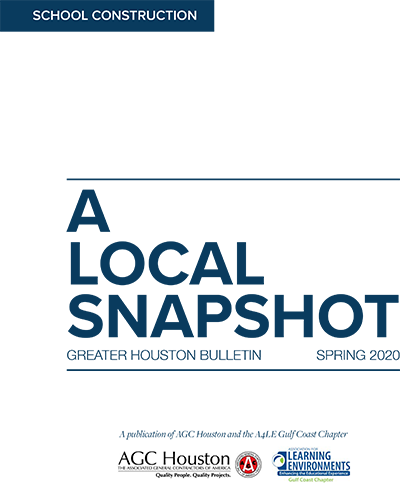 The geographic area served consists of the Texas Gulf Coast Region based in the Greater Houston area and extending north to Huntsville, south to Galveston, west to Columbus and east to Beaumont. On February 25, 2016, Michelle "Micki" Morris, Partner with Rogers, Morris & Grover, L.L.P. 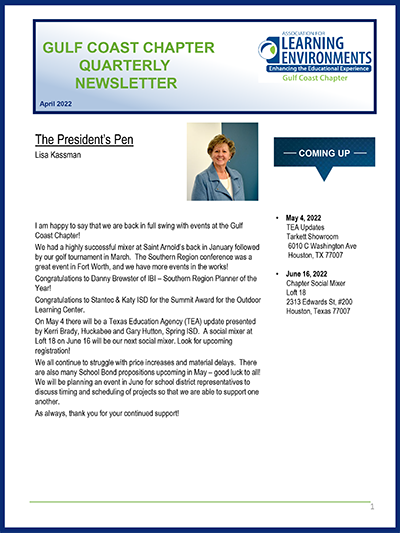 provided updates (and answered questions) on the most recently approved State of Texas legislative actions affecting Design and Construction in Public Education. Click here to read the 2016 Legislative Update.